Ore-Max is a division of Wade Rain, Inc., one of the leading agricultural irrigation companies. Wade Rain was founded in 1936 and manufactures and sells all different types of irrigation equipment. In 1987 Wade Rain made the first sale of drip systems for use on heap leach mining, and started the Ore-Max Division. The original installation was at a gold mine, and then in 1991 the Ore-Max drip products were first applied on copper, an industry innovation. It has been our policy to continually improve our products for mining, and to offer a product technology designed to maximize ore production. In 2001 Ore-Max developed the revolutionary Max Emitter, which was issued Patent No. 6,817,548 in 2004. The Max Emitter has proven to be the outstanding emitter design for use in the mining industry because it solves the emitter plugging problems, which are so common in mining. Since it's inception in 1987 Ore-Max has sold more than 500 million feet of emitterline to the mining industry, as well as complete heap leach systems, including lay flat emitterline, connectors, HDPE pipe, pressure control systems, sprinklers and flow meters. It is the goal of the company to provide the very best heap leach system which will result in maximum gold and copper production. Ore-Max systems have been sold to over 100 mines worldwide. 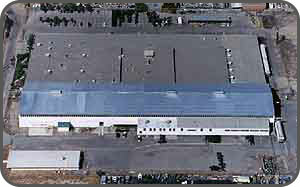 Ore-Max is manufactured in Fresno, California and the company headquarters are located in Tualatin, Oregon. Our primary mission is to help mines to increase their ore production by applying the superior technology of the Max Emitter and Ore-Max Heap Leach Systems.